When Peter Beal fell trying to get out of his house in the middle of the night in 2017, it was literally the tipping point in his struggle with Alzheimer’s disease. Peter, who’d been a manuscripts expert at Sotheby’s, had been diagnosed with the condition in 2013 at the age of 69. Over the next four years he’d gradually deteriorated, but that fall left him with a broken foot, and after three weeks in hospital, he couldn’t walk, get out of bed, feed or dress himself, and at times he was aggressive. There was no question that his needs were now too much for his wife, Grace, and he should be in a care home: the issue was how to pay for it. Then, via a support group, Grace heard about NHS continuing healthcare (CHC) funding. This covers a patient’s care bill — at home or in a care home — and is awarded to those whose ‘primary need’ is health (rather than a care need, such as help feeding, which is the remit of social services). Around 160,000 people a year receive this funding and the majority are elderly with dementia, costing the NHS £3 billion. But it’s a system mired in controversy. Not only is the definition of a ‘health need’ vague, but the interpretation of the eligibility criteria varies depending on the health authority (clinical commission group or CCG). A National Audit Office report in 2017 found that the proportion of patients deemed eligible ranges from 41 to 86 per cent, depending on where you live. And there’s a stark North-South divide, as NHS Digital has now revealed, with patients from London and the Home Counties least likely to have their care bills covered. Of the ten areas most likely to fund care, nine are in the North. Luton CCG, for example, had just 11.9 eligible cases per 50,000 people, while Salford in Greater Manchester had the highest number of eligible patients, at 230.3 per 50,000. Furthermore, around a third of people have to wait longer than the stated 28 days from referral to finding out if they are eligible, and some die waiting for a decision, according to a Public Accounts Committee report last year. Campaigners suggest that delays are a tactic by some CCGs to avoid making the payment. Like thousands of others, Peter and his wife Grace Ioppolo, 62, a professor in English literature at the University of Reading, faced a battle to get the CHC funding they’re entitled to. Initially Peter was approved for the funding — only for it to be suddenly and inexplicably withdrawn four months later. This has been followed by a 15-month catalogue of ‘deliberate errors and delays every step of the way to slow down and then reject Peter’s application’, says Grace. The process itself had at first seemed relatively straightforward, involving an assessment by a healthcare professional employed by the local health authority who assesses the individual’s needs in 12 categories (see box, above right). CHC is not means tested. Indeed, a week after Peter’s assessment in November 2017, the couple, who live in London, were told a board of NHS doctors and other healthcare professionals had recommended funding. This meant the £4,800-a-month cost of the care home Grace had found would be covered. But two months later, with no funding having arrived, Grace contacted the CCG, which reassured her the money was on its way. However, in March, the couple were told Peter had to undergo a second assessment. To this day, they don’t know why. This time, a panel ruled Peter wasn’t eligible because his health needs were not serious enough. Grace says that the second assessor was 14 to 18 feet away when he checked Peter. ‘He was such a bully, yelling at me when I questioned why he was downgrading Peter’s needs, it left me in tears,’ she adds. Grace appealed — the outcome of the appeal was also delayed. Continuing Healthcare (CHC) payment covers a patient’s care bill at home or in a care home. An individual’s needs are assessed in 12 areas — each is marked according to a scale ranging from ‘priority’ (i.e. needs help) to ‘no needs’. To apply, speak to a health or social care professional such as GP, care home nurse, district nurse or social worker and ask them to complete a checklist assessment. Submit it to your local health authority (CCG). You can ask the CCG to carry out the assessment, but this may take longer. They were then again rejected for funding. Grace appealed once again, and an investigation into their case by Brent CCG and Brent Social Services was launched at the start of June 2018. Grace only received the findings last month — Peter’s CHC funding was refused again. 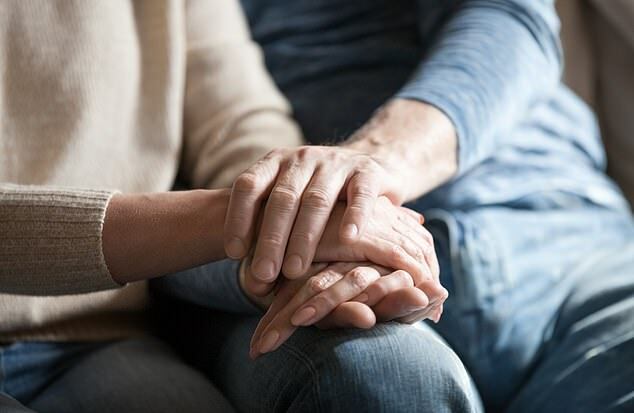 More than a year and a half after being told Peter, now 74, was eligible for the continuing healthcare funding, the couple are waiting to take their case to an independent review panel. It will come as little comfort to learn they’re not alone, with Brent CCG having one of the lowest number of patients eligible for CHC funding, with 33 cases per 50,000 people compared with the average for England of 57 per 50,000. Meanwhile, Peter’s health is deteriorating and Grace is having to find £2,000 a month for carers to help for four hours a day, five times a week. The couple’s experience is not uncommon, says Dan Harbour, managing director at Beacon, which provides help for navigating the CHC funding process. Although last October a new framework was introduced by the Government in an attempt to prevent CCGs withdrawing funding inappropriately, he says it doesn’t go far enough. ‘NHS continuing healthcare continues to be inconsistently awarded, regularly delayed and increasingly withdrawn,’ he says. ‘An ageing population means thousands more people should be eligible each year, but at the same time there’s an £855 million target for cost savings in the CHC budget by 2020/21.’ As a result, ‘vulnerable patients are being denied the funding they should be entitled to’. ‘Even getting to the stage of having an assessment to see if you are eligible is a trial, falling from 34 per cent of people applying to 29 per cent in five years,’ he adds. Withdrawing funding following three-monthly or annual reviews — which were designed to make sure a patient’s care needs are being met — is a common tactic. ‘Even when patients do receive funding, CCGs frequently don’t foot the care bill in full as they should, instead charging patients and their families “top up” fees, which in many cases are illegal,’ says Dan Harbour. This happened to Glenys Ho, 92, from South West England, who has dementia and was awarded funding in July 2015. Not only was her CHC funding withdrawn at the first review, less than a year later, but even for the year it was awarded, her health authority paid only £750 a week of the full care home bill of £1,200. Her daughter Ming, a scriptwriter from London, challenged this and received a refund. ‘CCGs try to bend the rules and not pay the full amount, saying the patient is receiving “lifestyle top-ups” — optional extras such as a bigger room or additional therapy, for example — as they did in our case,’ says Ming. Seemingly arbitrary decisions are another problem, as Lizzy Adams discovered after her mother, who has Alzheimer’s, had a stroke in 2013, aged 73. As a result, she has to be fed via a tube in her stomach, is doubly incontinent and immobile on her right side, and was immediately awarded £700 a week for her care home. But four years later, the family was baffled to be told she was suddenly no longer eligible. 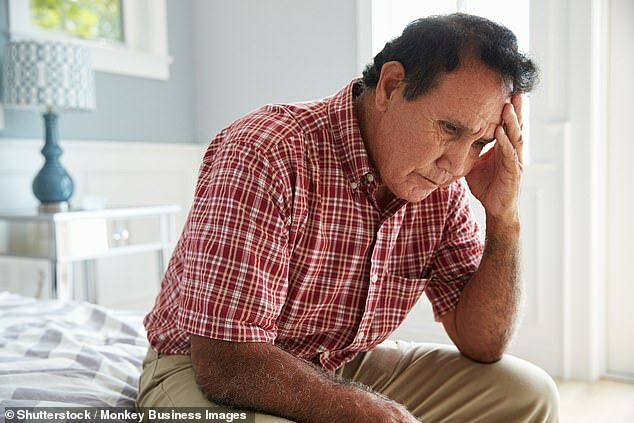 The Alzheimer’s Society says it’s common for patients to be deemed eligible in the earlier stages of the disease because their behaviour, combined with mobility issues, may make them a danger to themselves or others. However, as the condition gets worse, they often lose their funding because the assessment considers their needs reduced when their mobility is reduced, with some patients denied funding even in the last stages of life, unable to eat, drink or move. This is something Clive Murden’s family would welcome. 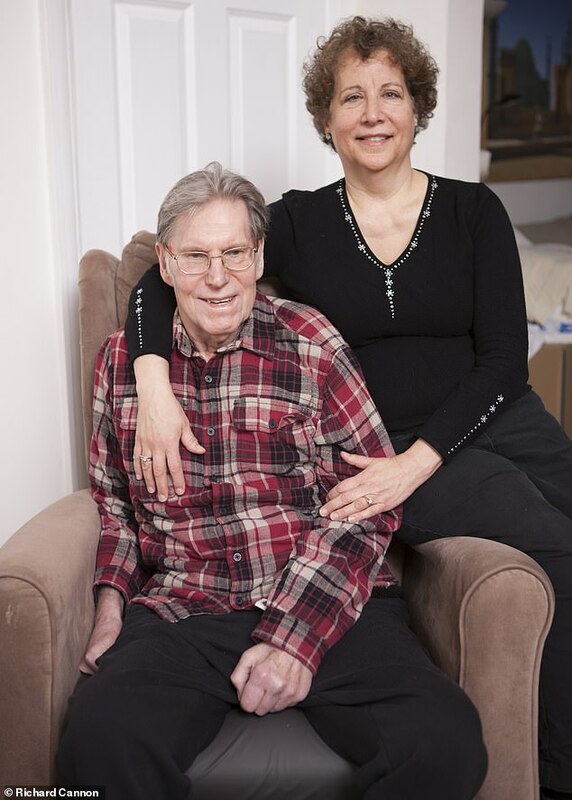 After he was diagnosed with dementia at 64, the former chartered surveyor and marathon runner was looked after by his wife Susan at their home in Nottingham for five years. But by 2017, a series of seizures and a fall meant he needed to go into a care home. However, it was only when Clive’s daughter Sarah stumbled across a Facebook group about the issue that they learned CHC even existed. The process of getting the £2,500 a month for his care home was ‘the biggest battle I’ve ever had’, says Sarah, 36, an estate agent. ‘A lot of his health needs were dismissed as care needs; they tried to say his medication was stable, when it was changing regularly and needed monitoring. If I hadn’t spotted these things in his notes, he wouldn’t have got the funding.’ Sadly, Clive died three weeks later. The vulnerability of the patients and their families means many won’t be able to battle for what they deserve, says Grace Ioppolo. ‘I’m finding it hard to cope with Peter’s increasing physical and mental health problems. I could probably manage if I didn’t have to fight the NHS every week, but the whole process has left me exhausted and frustrated. ‘Peter was highly respected for his work and always paid his taxes. The way he’s been treated has been appalling. I’m fighting for this not just for Peter, but for all those refused funding, many of whom may be less fortunate than us.